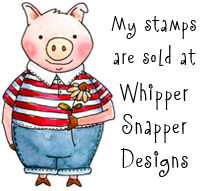 Welcome to day 5 (of 5) of the Impression Obsession Spring Release Designer Blog Hop! To create my card for today's share, I used Hope Angel image stamped in black Memento ink on white card stock. I colored the stamped image with ShinHan Touch Twin markers in soft colors of green with a cute little pink heart tucked in her dress pocket. I added sparkly Diamond Stickles glitter for lots of sparkle and shine. Behind a rusty tin star, I added some Pine Sprig die cuts pieces and a tea dyed seam binding bow. Today is the last day of the hop, so if you missed a day head on over to the Impression Obsession Blog for all the hop details, or see my previous days posts. Comment entries will be open until 9pm CT on Sunday January 10th and all winners will be announced Monday, January 11th on the Impression Obsession Blog. Good luck! All of the new stamps you'll be seeing on the hop are available now! 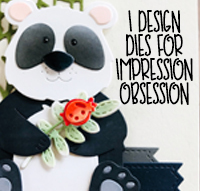 Visit the Impression Obsession website for details. Your angels are beautiful!! 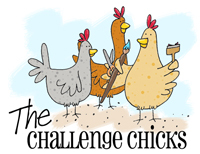 The perfect images for a country girl like you to showcase her creativity and coloring talents. Happy New Year! a soft folk art angle. another country feeling,beautiful. I love the Hope Angel! Reminds me of the handmade ones from long ago. Your card is beautiful!!! Super sweet card! I love the soft colors and that embellishment. Wish I could color that well! Well done! That rusty star looks like a heart to me ! ;) She is adorable and I bet even cuter IRL. Happy colors! Happy message... Thanks for sharing. Love your card! !Very pretty!! !Great stamp!!! Wonderful angel doll! Love the ribbon and die embellishment too! Thanks for sharing. How soft and pretty. I love your coloring on this. Very sweet card...it makes me smile! Your coloring is so artistic, skillful, and beautiful, and the design so cute! I love your coloring, the soft colors with the bold colors of the layers, nice layout! Love these angels! So pretty! Very creative! Gorgeous card and fabulous images! Very sweet. I love the way you colored her, so soft. Sweet card with lots of ideas for Valentine. Beautiful coloring on your Hope Angel. The embellishments add a real Special look to the card too! The Hope Angel is so soft and beautiful. Great job on your card. Adorable card and appreciate the inspiration...thanks for sharing! Another cutie!! I like the seam binding bow! The seam binding and little twig dies add the perfect homey touch to this sweet little card. Very pretty papers and I like how you framed the central stamped panel. Well done. How sweet this is...if you love gardening like I do, this is perfect. Wonderful coloring on this sweet image. Very pretty--I like the soft coloring and the embellishment. Such a cute card. Love the addition of the twig and ribbon. Sweet card! Love the embellishments and your beautiful coloring! Another cute angel image! TFS! I love the products IO are great. Thanks for the nice party. Very funny card. That sprig bouquet is a terrific finishing touch! How sweet is she?! The colors are so soft and girly. I love garden angels,really cute card. Really cute angel. Love the dimensions you added. Anna, your angels are the best thing ever! Sooooo sweet. What a fabulous angel! I love the pine sprig die cuts you added - such great texture! Thank you for all of the inspiration you have provided this week with the IO hop! Cute card. Thanks for the giveaway. I just love your stamp collection! So adorable! I want them all!!! LOL. You're work is just lovely!